Welcome to the Law Society, University College Dublin. 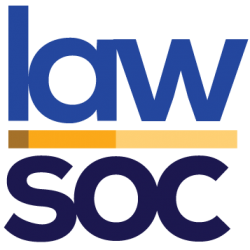 LawSoc is one of UCD’s largest student societies, functioning as both a faculty and debating society. Founded in 1911 to coincide with the establishment of the now Sutherland School of Law, LawSoc has a tradition of fostering debate, developing legal skills and providing career and social opportunities. Our broad membership consists not only of law students, but also undergraduate and postgraduates students from across UCD’s thirty-seven schools. UCD LawSoc runs weekly house debates on a diversity of topics and competes internationally in debating competitions to significant success. The society regularly welcomes prestigious national and international guests to address its members. LawSoc runs a series of mooting competitions where students can develop their advocacy skills. We have a very active social calendar with signature events such as the annual Law Ball and Law Gala Dinner. Thank you for your interest in the society. If you would like to get involved, find us on Facebook, Twitter and Snapchat or if you would like to get in touch, visit our contact section.